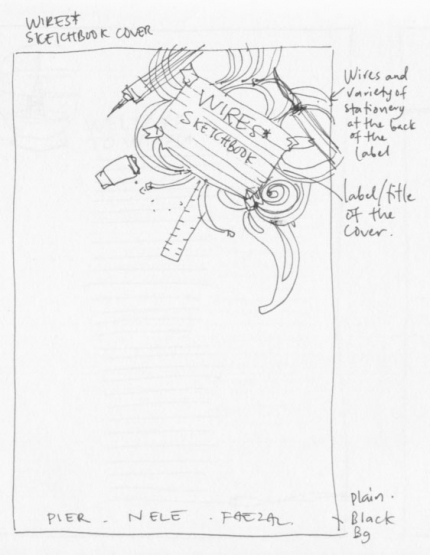 So here it is the cover for WIRES* sketchbook. 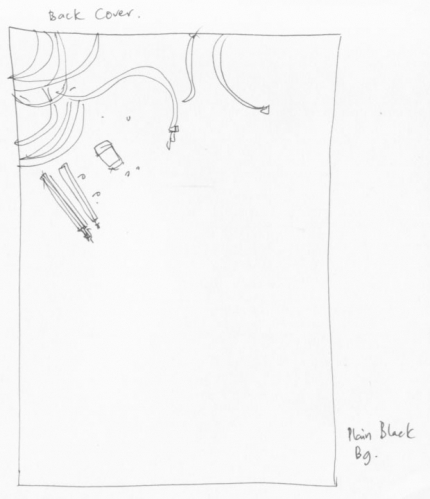 As you can see that the final cover is pretty much similar to the sketches that I developed earlier, more or less. I wanted to make the cover to be just in Black n White. After looking at the final drawing and suddenly I thought it would be too 'bare' as compared to the other comics covers. So i decided to add some colors just to make the pages stand out a bit. Also, all of our covers are basically wraparound illustration, I decided that this one should be as well. 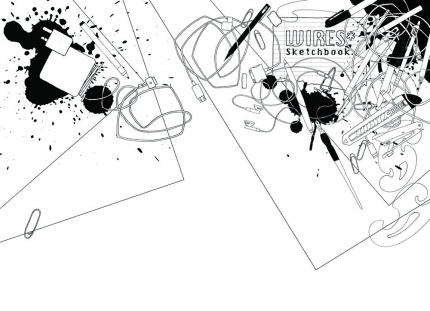 The Idea for this mash-up cover drawing is to show the tools and materials that we all use for our work are varied from the conventional to the digital methods. The scattering wires and drawing tools is just an example our working table/studio (or maybe mine at least).